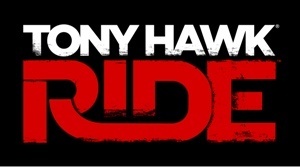 A 9 year old child was killed during an all night gaming session of Tony Hawk: Ride in Harlem, New York. Anthony Maldonado, 9, was allegedly stabbed to death by a family friend at 3:30am on Saturday, January 2nd. The boy had received a PlayStation 3 for Christmas and was playing with his brothers and his alleged killer, Alejandro Morales, 25. Around 3:30am, after his uncle had gone to sleep and his brothers left the apartment to get some food, Morales is accused of stabbing the boy in the chest. The boy then called out, "Uncle, uncle, I've been stabbed!" before falling in front of the bedroom door. Morales was arrested and charged with murder and criminal possession of a weapon. One of the brothers Antonio Juela said, "Anthony was a loving child who loved his PlayStation. He got the PlayStation for Christmas and was very happy. He was so happy." Despite the boy's grandfather, Antonio Juela, 59, stating "My grandson died over a video game," the Daily News declined to connect the game with the subsequent violent behavior. While there is nothing good about this heart-wrenching story, perhaps we have finally reached a point where the mainstream media resists the gratuitous potshot at our hobby.